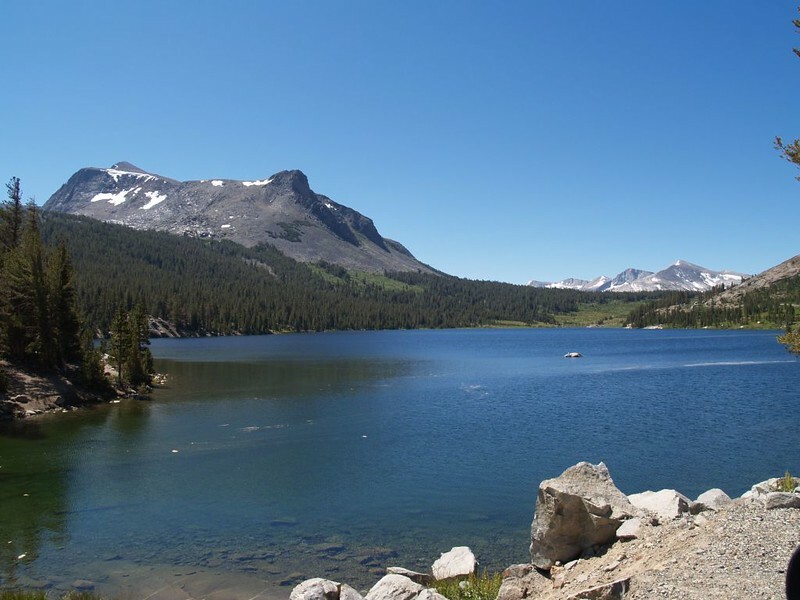 We left San Diego at about 2am, headed north to Yosemite via the eastern side of the Sierra on 395. Morning is the best time to drive this route, as the view of the mountains is fantastic, and made us more excited than ever to get hiking. 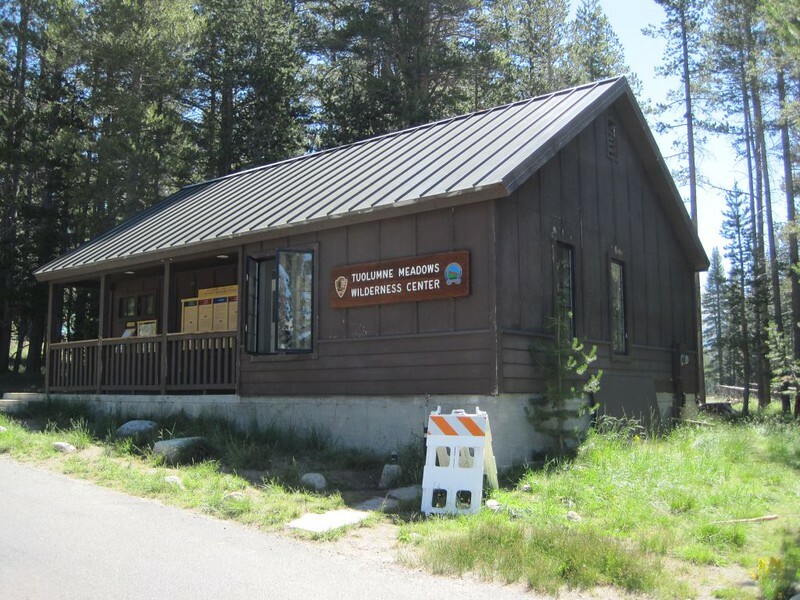 We got to the park about 11am and went straight to the Wilderness Center in Tuolumne Meadows, where we converted our trailhead reservation into a bona-fide Wilderness Permit. Oh yeah! 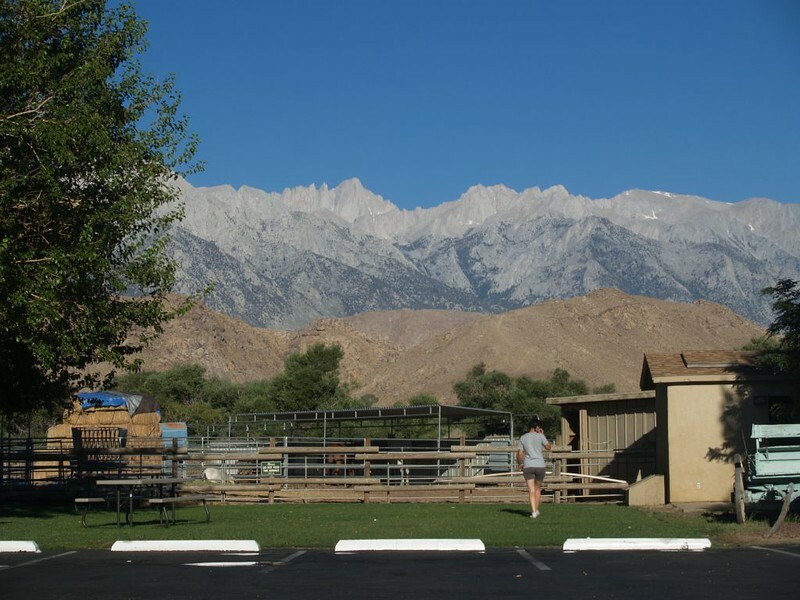 Mount Whitney from Lee’s Frontier Gas Station, heading up the east side on highway 395. 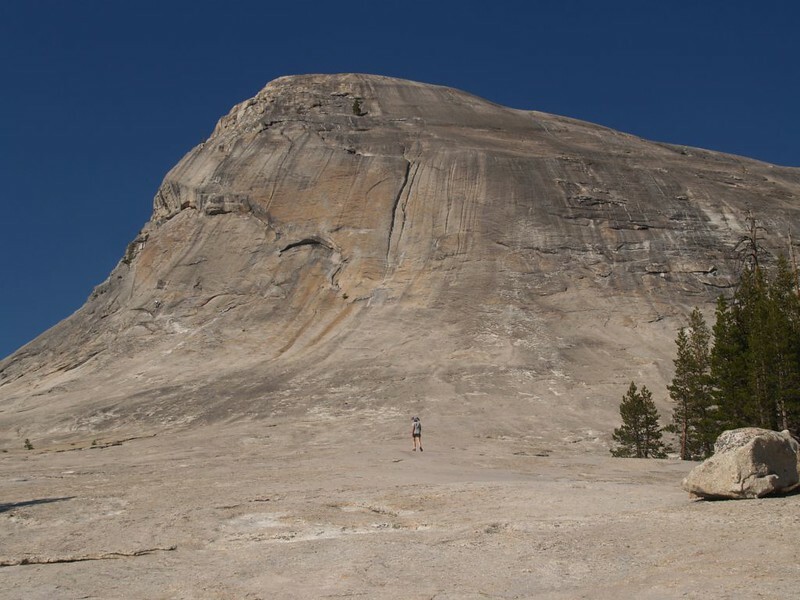 Sorry, Whitney, but Yosemite’s calling! 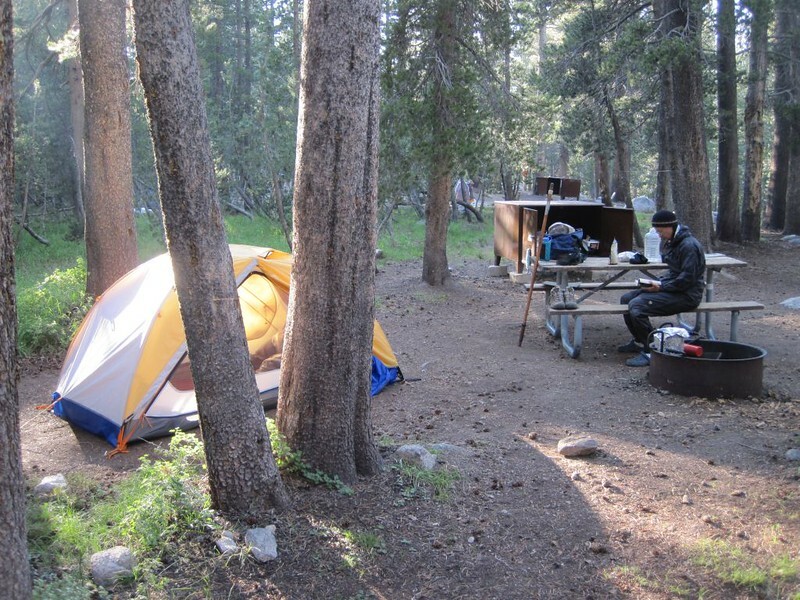 We were hiking out the next morning, so we set up our “Day 0” camp in the Tuolumne Meadows Backpackers Camp. As it was still early, we did the tourist thing and drove around near Tuolumne Meadows. 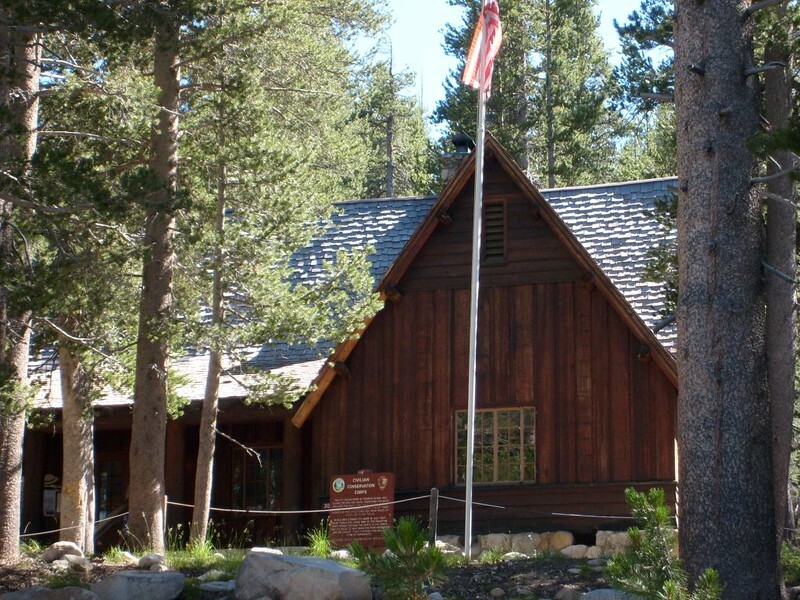 We visited the old CCC building, ate a burger at the grill, and then parked the car for the week near Lembert Dome. As long as we were there, we climbed partway up the slope of the dome and enjoyed the view. 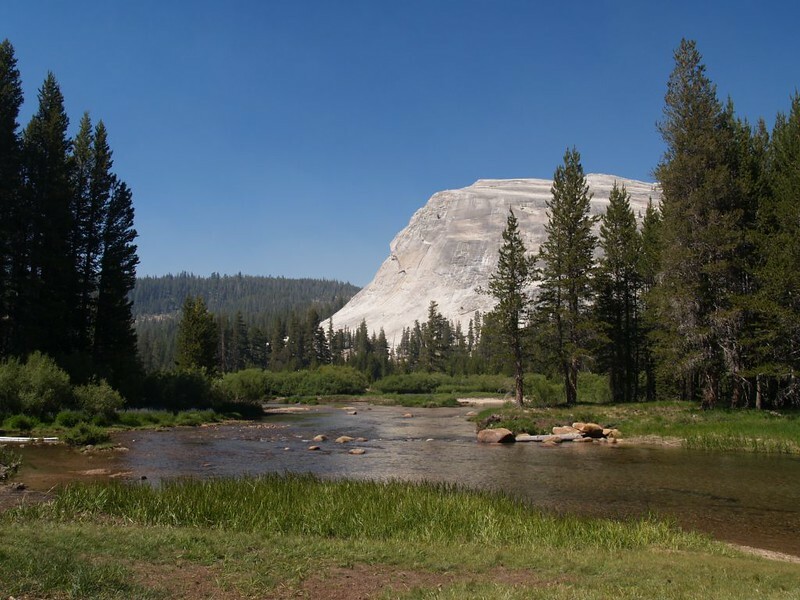 Traffic was insane all around Tuolumne Meadows, typical of Yosemite on a beautiful summer day in August. We could hardly wait until we were hiking in the woods, far from all the crowds. We walked back to our campsite, ate dinner, and went to bed early, as we had to catch the “Backpackers Bus” at 8:45am the next morning back at the Lembert Dome parking lot. For more Day 0 photos and videos see my Flickr Page.